This unique penthouse apartment located in the vibrant Nørrebro area has recently been totally refurbished with high end materials, amenities and Scandinavian interior design. You will enjoy one of the few apartments in Copenhagen to have a full panoramic view of the city from your own private balcony. 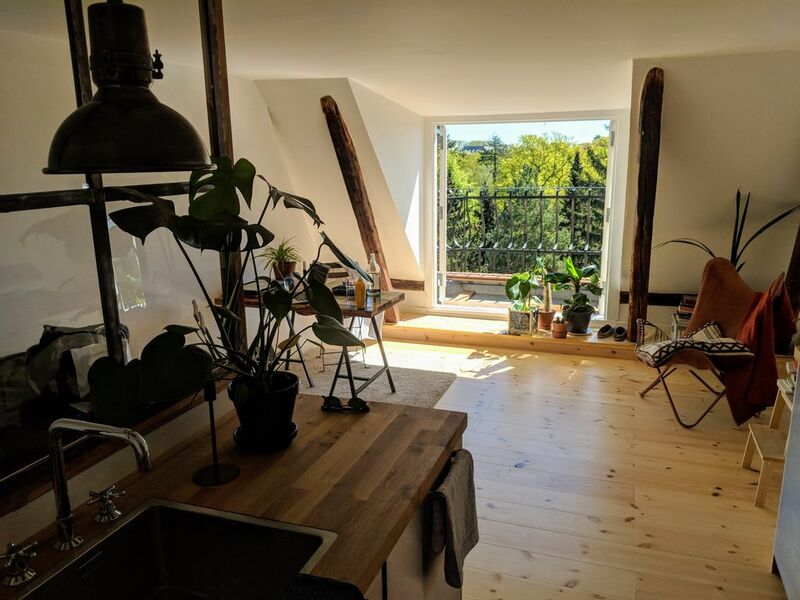 This exclusive studio apartment expresses a perfect combination of the Danish hygge minimalistic interior design while having a bohemian Parisian vibe to it. You will feel at home right away. Welcome!